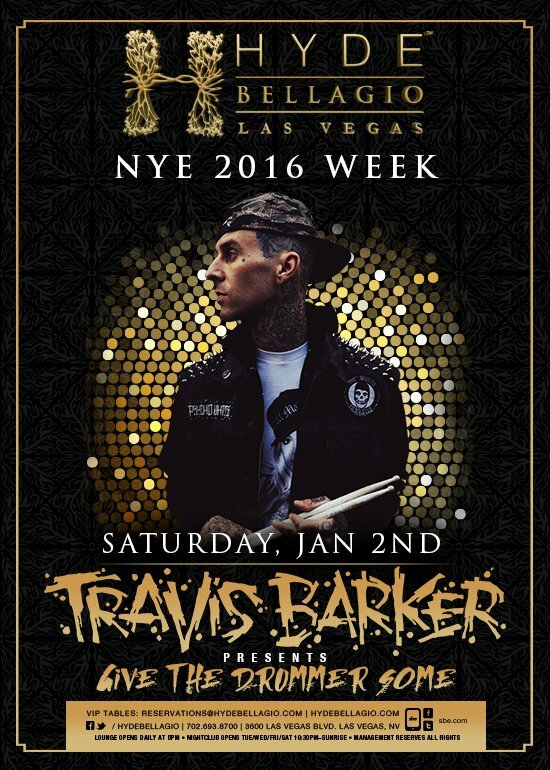 Contact City VIP Concierge 702.741.2489 for Table & Bottle Service and the best of New Years Weekend Las Vegas. Travis Landon Barker (born November 14, 1975) is an American musician and producer, and the drummer for the American rock band Blink-182. Barker has also performed as a frequent collaborator with hip-hop artists, and with the alternative rock band+44, the rap rock group the Transplants, and the alternative rock band Box Car Racer. He was a frequent collaborator with the late DJ AM, and together they formed TRV$DJAM.